Lots of myths and miscues can hurt your chances of helping birds. FALMOUTH — As Maine Audubon Naturalist Doug Hitchcox stood looking out a large window to an area buzzing with birds, his mind wandered to what he gets from watching bird feeders. Hitchcox is one of the foremost authorities on birds in southern Maine. Yet he said even he can learn from the habits of birds at feeders. And as if on cue – just as he finished saying the thistle seed feeder is not one visited by the American tree sparrow – one flew up and proved him wrong. This time of year, as forests and fields transition from places of abundant natural food to frozen ground, more bird feeders are hung up across Maine. And it’s a good time for non-birders to try this activity. Birding experts around Maine offered some tips to increase your chances of seeing birds, and helping them. Let’s face it. If you’ve never hung a bird feeder you’re in for a battle with squirrels. 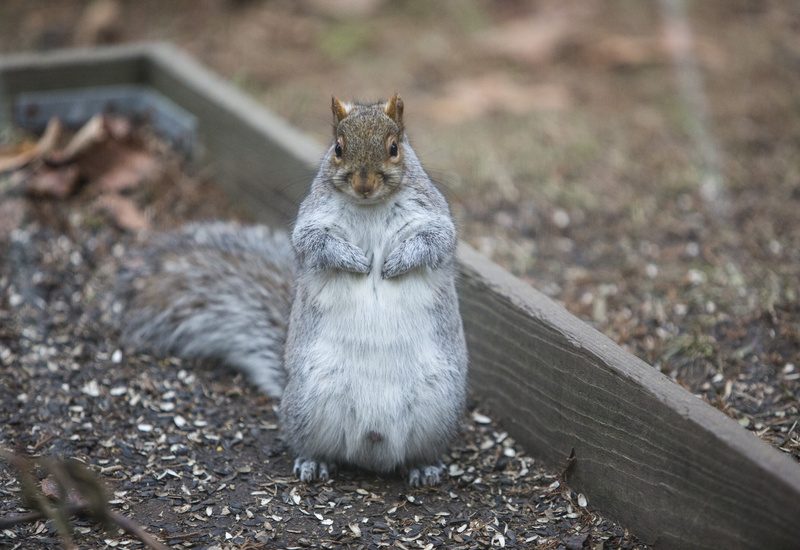 There’s quite a market for squirrel-proof gear – like baffles, large lids hung over feeders, cones, hollow dishes placed under feeders, and what are called torpedoes (baffles designed to prevent ground attacks by squirrels, and clearly a product invented by someone who dislikes squirrels). 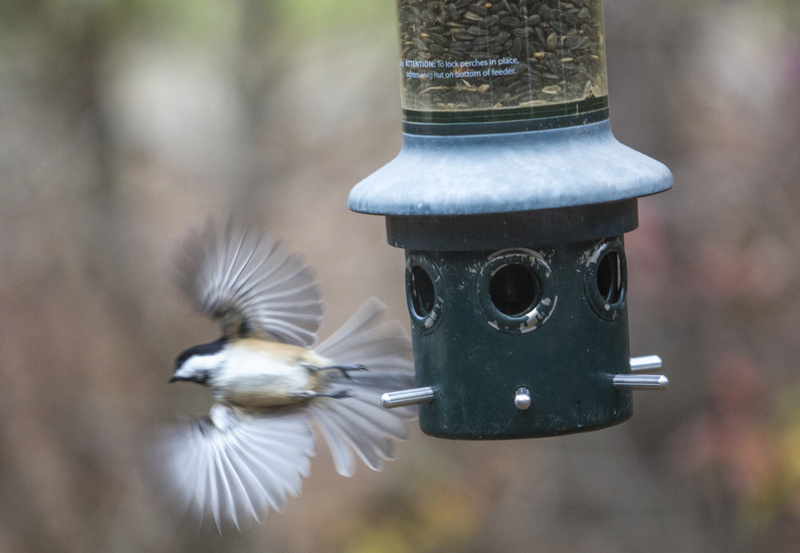 A chickadee flies off after visiting a feeder. Hitchcox said studies show squirrels can jump from 15 feet away, so do what you want but you may lose this battle. These acrobatic animals have no problem jumping from high distances – it’s what they do. So at two feeder stations at Maine Audubon’s Falmouth campus, there are ground feeders for the squirrels. Needless to say, those squirrels are on the chunky side. What you see for bird species depends on what you serve, said state bird biologist Danielle D’Auria in Bangor. And some birds will never come in to seed, Hitchcox said. For example, the bobolink, found in meadows, is a ground feeder. So a feeder hung in a meadow is unlikely to attract this blackbird. 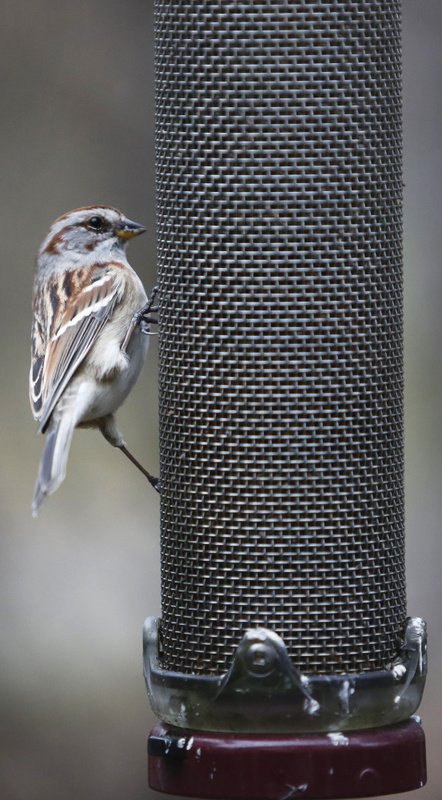 An American tree sparrow eats from a wire mesh feeder at Audubon’s Gilsland Farm. • Suet: Will bring in woodpeckers, nuthatches and chickadees. But be wary of raccoons and squirrels. Some recommend hanging suet in a double cage to keep animals out. • Safflower seed: A larger seed that draws bigger birds, such as cardinals, grosbeak and nuthatch. • Black oil sunflower seed: Brings in a variety of birds from chickadees and tufted titmice, to blue jays and wild turkey. • Thistle seed: A finer seed that attracts smaller birds like goldfinch, siskin and common redpolls. Birds are more likely to come in to your feeder if there is protection around it, D’Auria said. Ground cover helps birds to avoid predators, and birds will be more apt to visit a feeder if they feel safe with a perch nearby. Even throwing down a Christmas tree after the holidays is one way to provide cover before you have a chance to plant a shrub or tree nearby. The general distance a feeder should go up, Hitchcox said, is about 30 feet from the window or within 3 feet of it, such as a window feeder. If it’s somewhere in between, birds run the risk of seeing the reflection in the window and running into it. • Don’t let your cats outdoor if you have feeders. • Don’t let food pile up and grow moldy, as disease can spread easily among birds. • Clean feeders often, and wash and wipe it down when the food runs out. 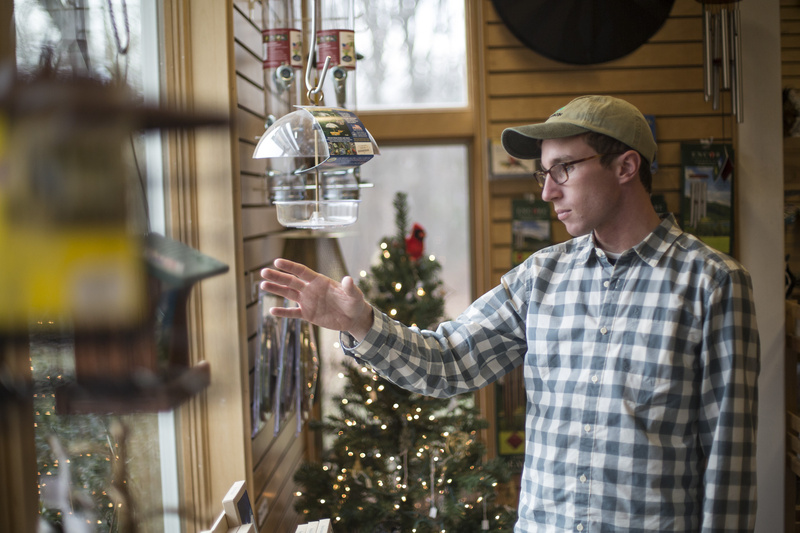 Naturalist Doug Hitchcox talks about choosing the right bird feeder for your yard at Audubon’s Gilsland Farm. Simple as this pastime seems, there are many common mistakes that can lead to failure and worse, harm to birds. Buying cheap seed that can include filler mix is seed the birds won’t eat, warns Derek Lovitch, the co-owner of Freeport Wild Bird Supply. 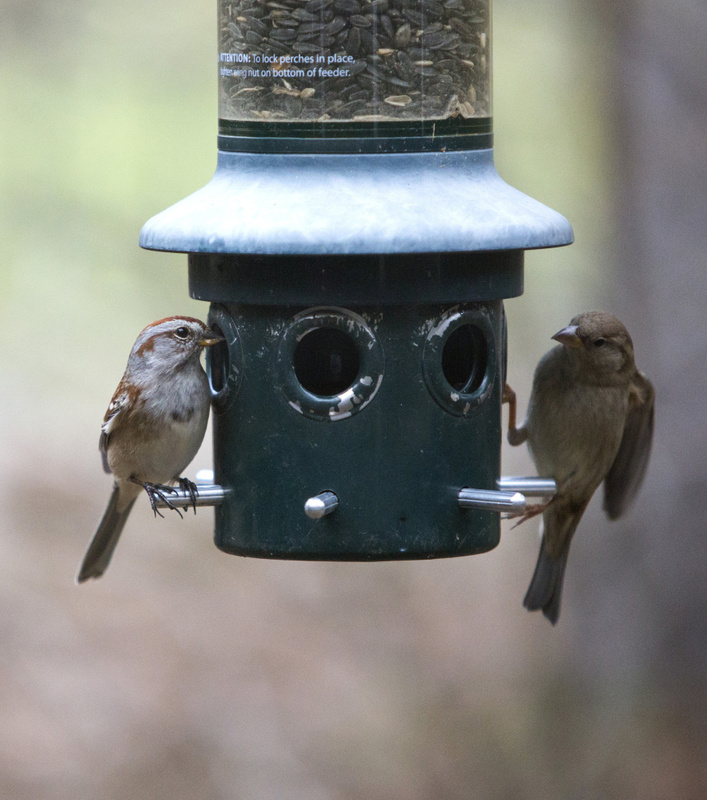 Lovitch, who leads birding tours in Maine and beyond, said there is so much misinformation and myths around bird feeding that a conscientious birder should take care to do it right. “It’s a super simple hobby but you can do it poorly,” he said. • Few birds eat cracked corn, so in a mix it’s only used as a cheap filler and best avoided. It also can grow fungus. On the other hand, quality, fresh bird food will keep birds safe and attract more. Naturalist Doug Hitchcox has many ideas on how to keep squirrels from eating the seed from bird feeders, but he also suggests that spreading seed on the ground beneath the feeder can keep them happy and away from the feeder. 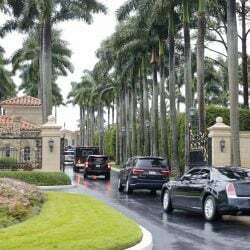 • Squirrel-proof feeders exist, Lovitch said. But there is no universal fix. He and his wife, Jeannette, offer a consulting service that includes squirrel proofing. • Just topping off the seed can be harmful. Let the feeder run out and wash it every time before filling it to avoid disease. “It’s pretty easy to keep feeders clean,” Lovitch said. 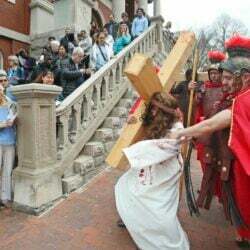 “But it involves a little effort.